No trip to Lisbon is complete without tasting the famous Lisbon coffee called bica. In Portugal, and Lisbon is not an exception, coffee is an obligatory drink. All the cafés and pastelarias in the city have the espressos (strong coffee) or the galão (latte). Below we present a list of some of the famous Cafés in Lisbon that you can visit during your vacations in the city. You can taste a coffee indoors on in the beautiful esplanadas (outdoor terraces) spread all over the streets and avenues of Lisbon. 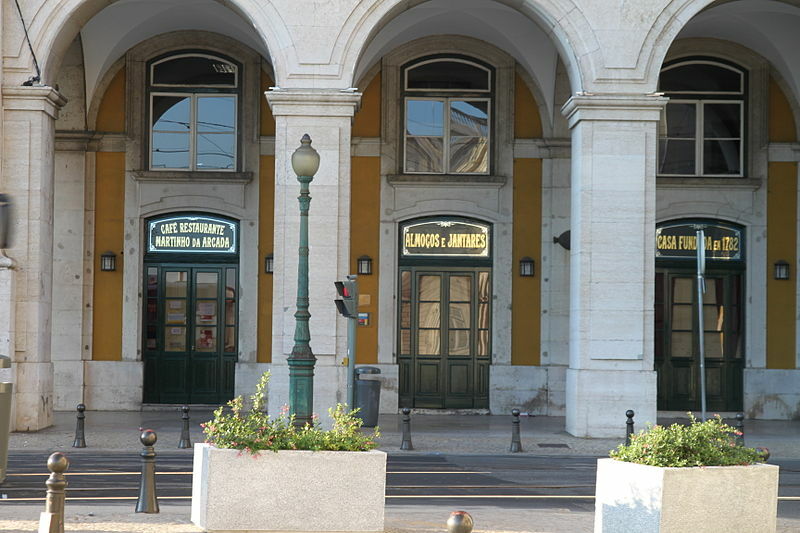 Opened over 200 years ago, Café Martinho da Arcada in the Comércio square, in Baixa-Chiado district, is the city’s oldest café. Coffees such as meia de leite (half milky), bicas (espressos) and the famous portuguese custard tart are served in a traditional tiled interior. It also as a restaurant, where a table remains laid for modernist poet and former guest, Fernando Pessoa. 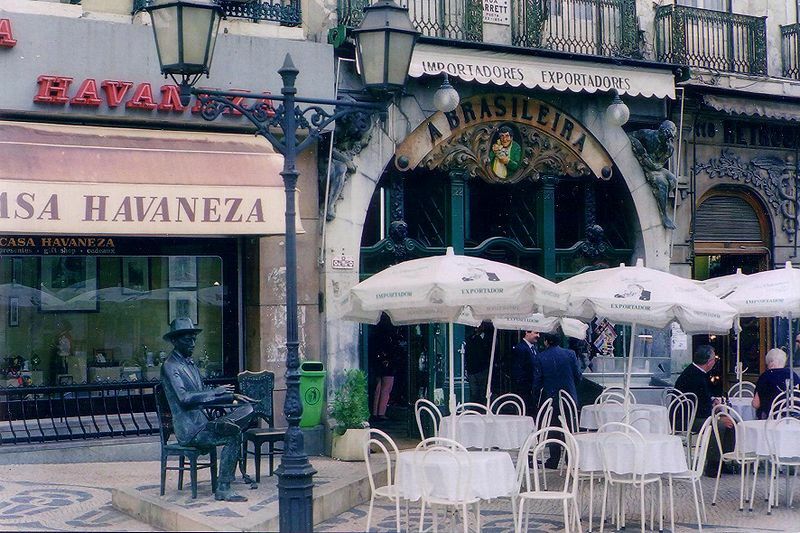 This is the city’s most famous café in Lisbon, opened in the early 20th-century. Most tourists come to see the bronze statue of modernist poet and former regular customer Fernando Pessoa. Even today this coffee house in Chiado is popular with writers. 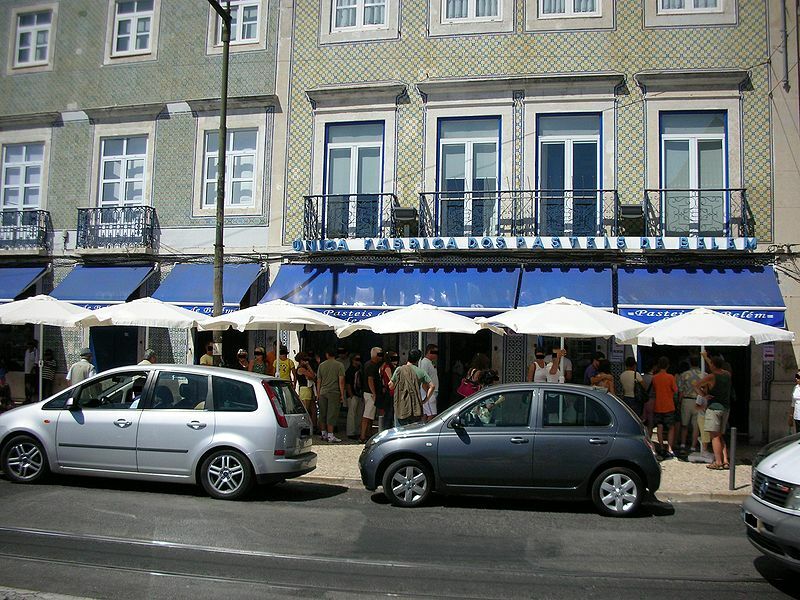 Right next door to the famous Brasileira, in the heart of historical Lisbon, is another city attraction – the Benard Café. The pastry and the croissants are an excellent reason to stop in this adorable café, opened in 1912. Located in the business district of Saldanha, this is a spectacular 19th century decorated café with a dizzying baroque confection, aristocratic grace and taste. An endless range of sweet and confections are served in a shimmering glass case and it is a must to visit. Antiga Confeitaria de Belém is a traditional café renowned for its custard tart recipe. Pasteis de Belém can be enjoyed with coffee in the maze of rooms at the back, sprinkled with cinnamon and icing sugar from battered metal shakers, or take them home in a tube with little sachets. You have a lot to discover during your vacations in Lisbon. Travelling to Lisbon website provides fantastic accommodations in the wonderful city of Lisbon. You have apartments in Baixa (Lisbon’s downtown), serviced apartments in Chiado, holiday accommodations in Belém and a variety of apartments in all other major locations in Lisbon. Don’t forget to check the promotions and last minute accommodations in Lisbon. The Elevador de Santa Justa is a lift in the city of Lisbon at Santa Justa Street. The only vertical lift in Lisbon is the work of Raul Mesnier de Ponsard, an apprentice of Gustave Eiffel. It was inaugurated in 1902 and serves to link downtown Lisbon with the Largo do Carmo. The iron lift is 45 metres tall and is decorated in neogothic style, with a different pattern on each storey. The top storey is reached by helicoidal staircases and has a terrace that offers views of Lisbon Castle, the Tagus River, the Rossio Square and the Baixa neighbourhood. Inside the tower the elevator has two cabins and capacity for 45 persons in each cabin. 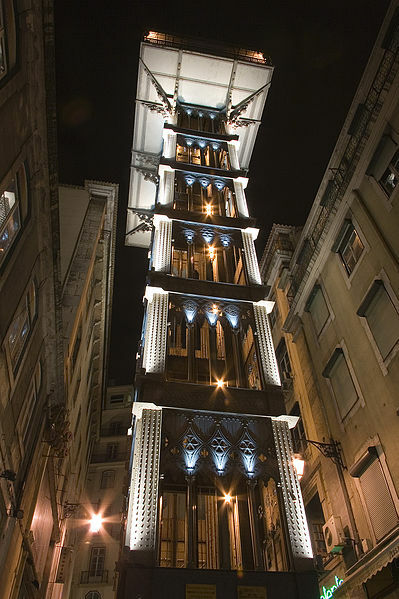 The Elevador de Santa Justa, also known as the “Elevator of Carmo,” has become a tourist attraction in Lisbon as among the urban lifts in Lisbon, Santa Justa is the only vertical one. Others, including Elevador da Glória and Elevador da Lavra, are more like funiculars that help climb the slopes of Lisbon. If you want to stay in Lisbon downtown, book one of our holiday apartments in Baixa!